Delightful Lunch at Movida Aqui | 15,000kms of Food! Right, this is my third Movida Aqui review. I can’t help it, I love the food there! Was here for a quick lunch with girlfriends. 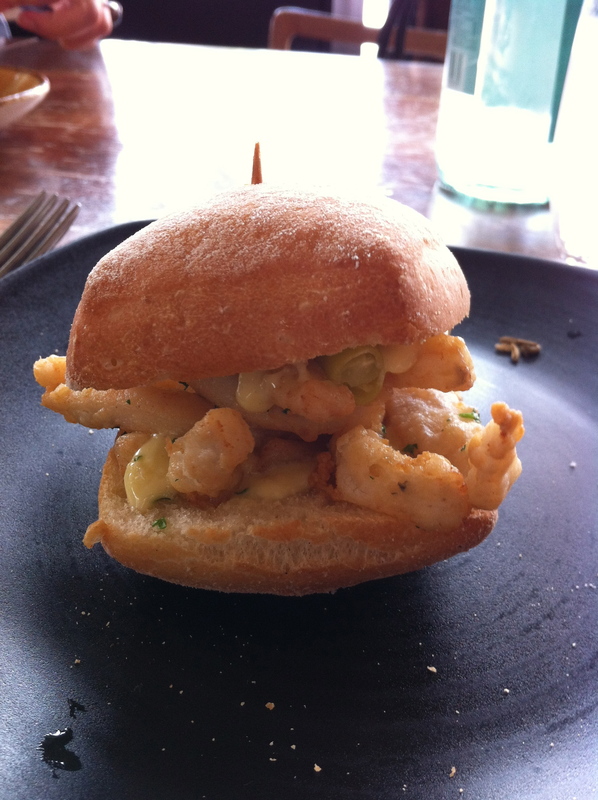 The “Bocadillo de Calamares” (Calamari sandwich with Basque Guindilla and Mayonnaise) was delicious. 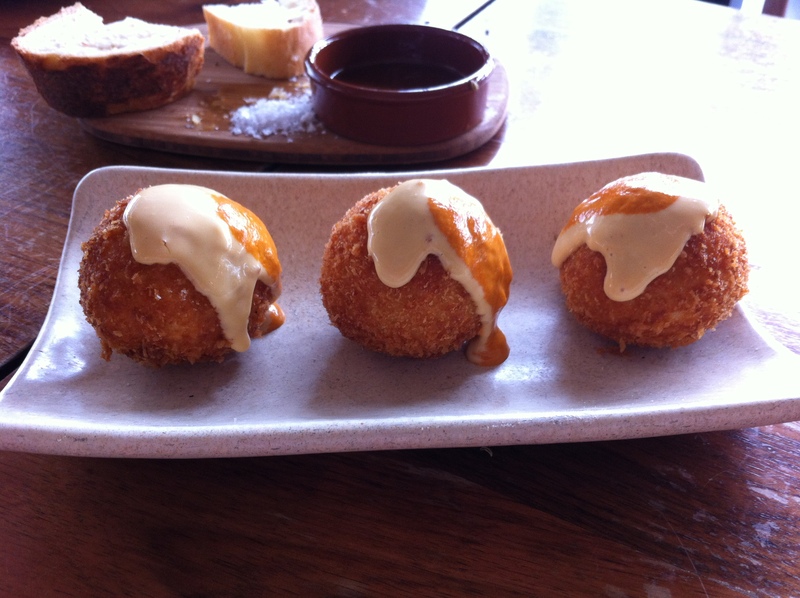 My old favourite the “Bomba” (Catalan Potato Bomb Filled with Chorizo) never disappoints. 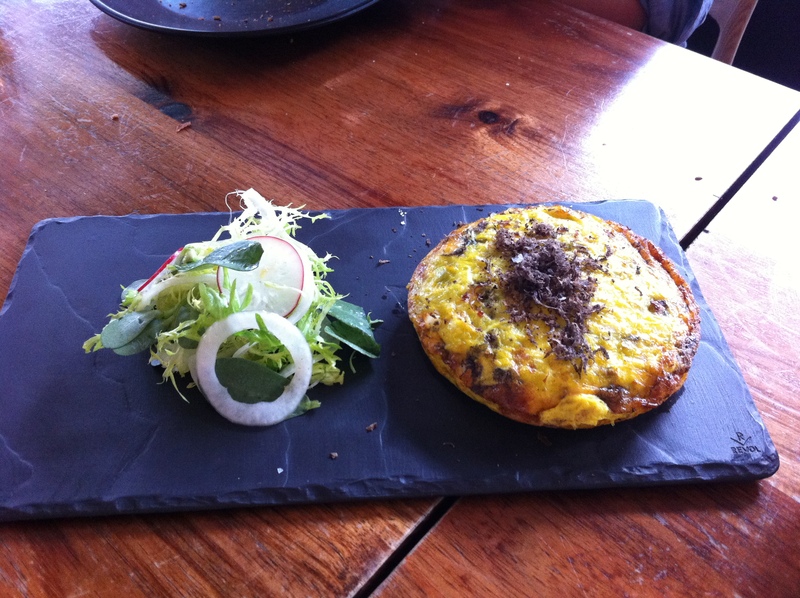 We had the special of the day which was a gorgous fluffly “Crab Omelette“. 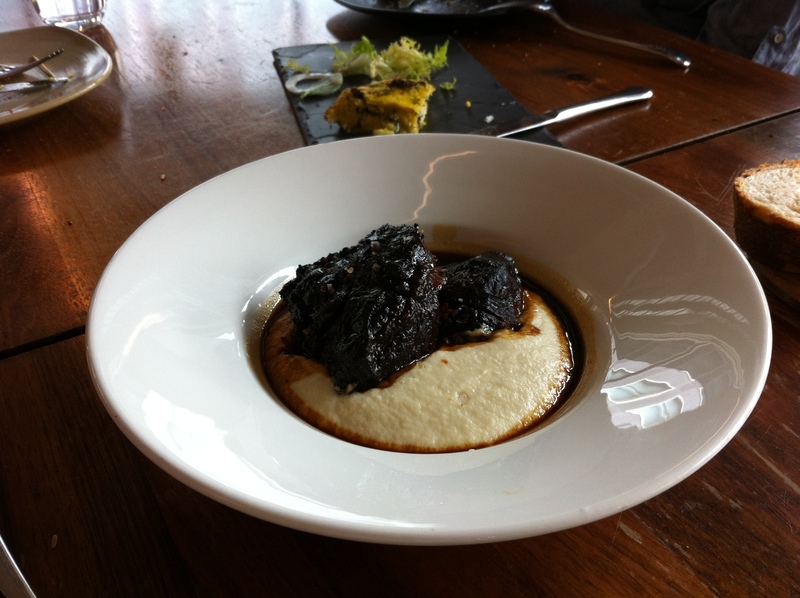 The “Carrillera de Buey” (Slowly Braised Beef Cheek in Pedro Ximenez on Cauliflower Puree) is slow cooked perfection. Yeah, I eat here a lot. And that’s cause it’s fantastic!